Made up of vocalist/guitarist Matt Cronk (also of Cunts) and drummer/vocalist/keyboardist Paul Christensen (also of Hepa.Titus), LA-based Qui is a two-man band whose music manages to span a vast and eclectic range of styles from jazz to noise to classic rock to punk, with an air of absurdity ever-present. 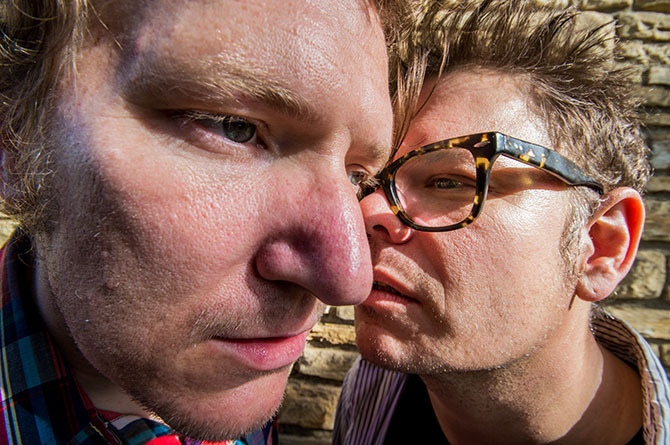 Known for their live antics and beloved for their iconoclasm and refusal to settle into any one scene, the pair are friends of/have played with The Melvins, Marnie Stern, Sebadoh, Head Wound City, Red Fang, Retox, Gay Witch Abortion, and Zu, to name a handful. Their peculiar musical approach was enough to enlist David Yow (of The Jesus Lizard, Scratch Acid) as a past member of the band, who still collaborates with and supports them today.